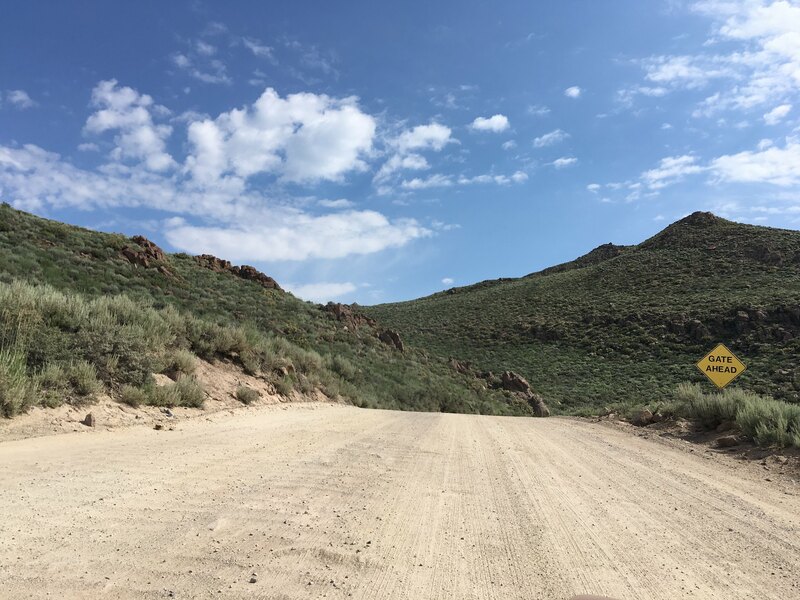 - CA 270 itself was in really good shape, no issues to report with the road itself up to the dirt segment. 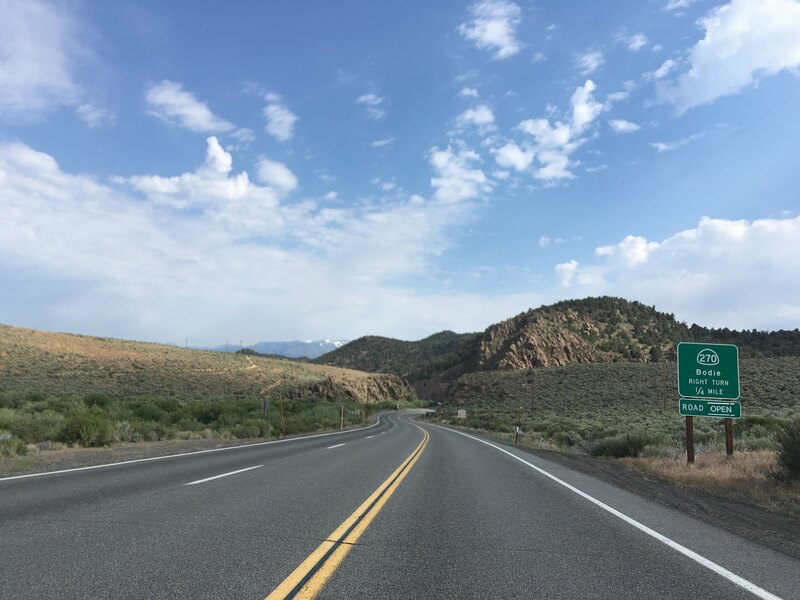 - Someone jacked the first westbound CA 270 reassurance shield. 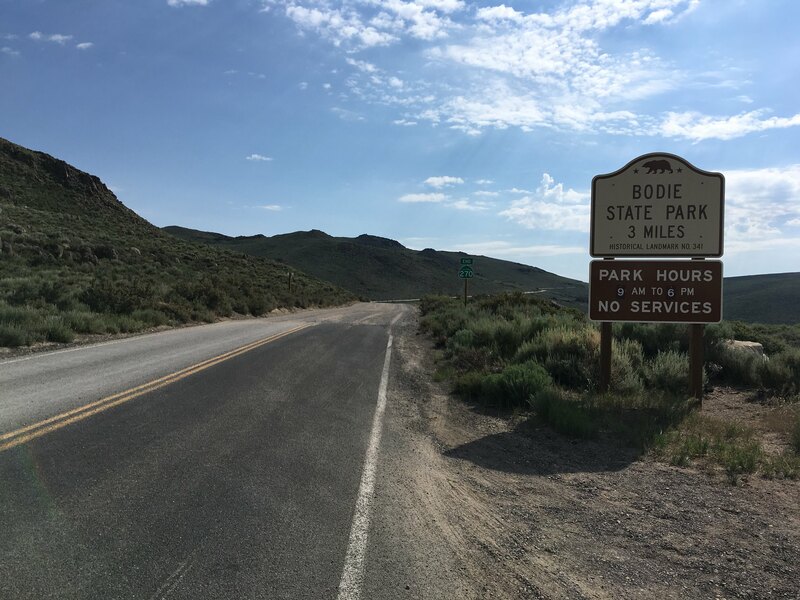 It was present last year but is gone with only the "west" placard remaining in place. 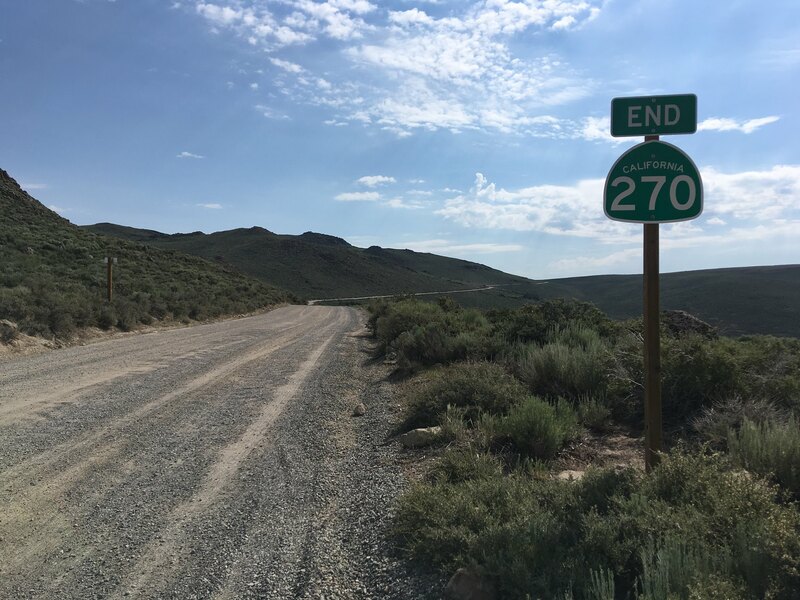 The CA 270 "End' is still present but is the only shield on the route itself. 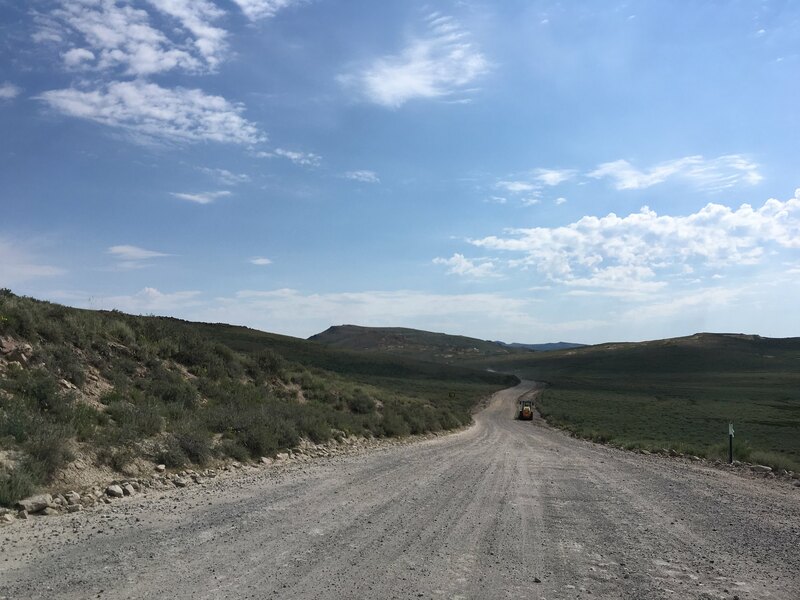 - The dirt segment of Bodie Road from the end of CA 270 to Bodie is in extra bad shape this year. 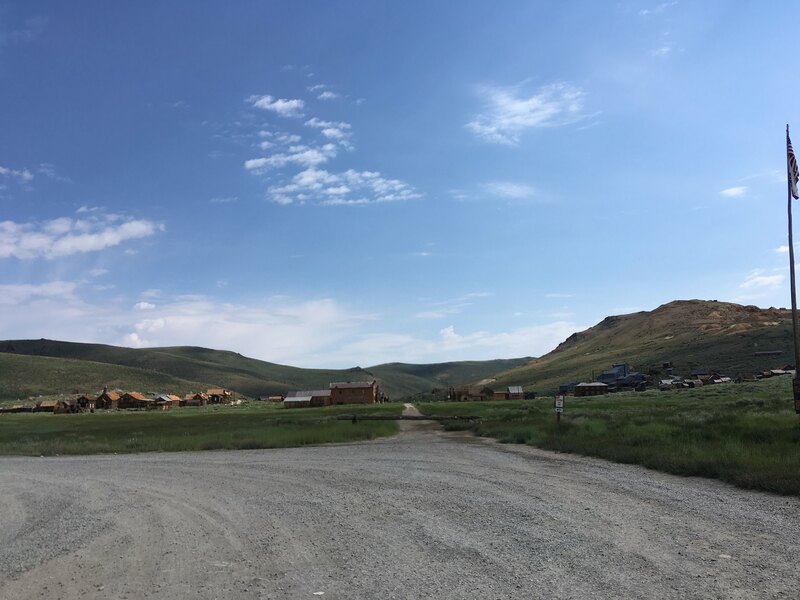 The wash boarding is very heavy and doesn't really clear up until the gate of the park. 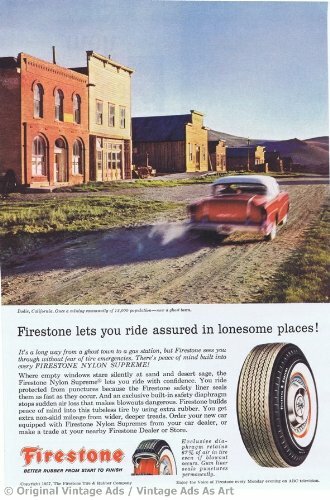 Really I found myself driving about 10-13 MPH just to avoid the annoying chatter of things bouncing in my trunk. 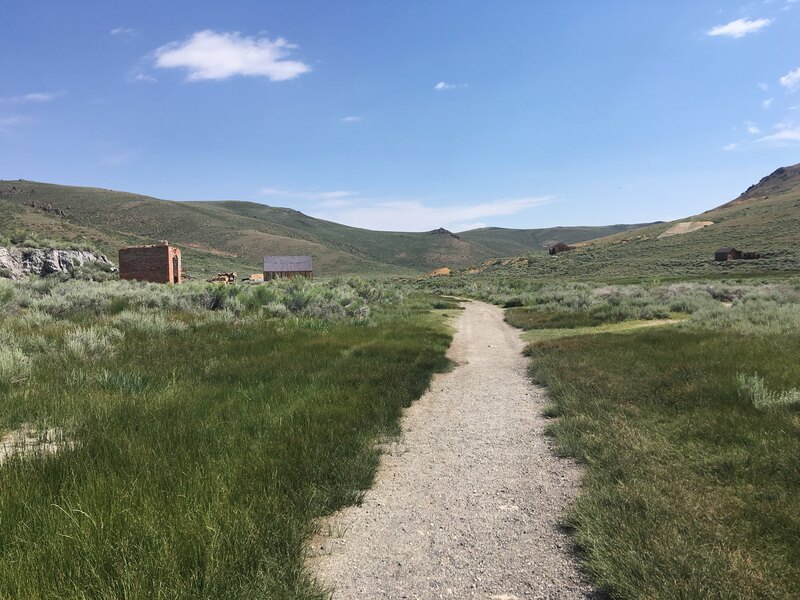 - Lots of bugs and actually living plants in Bodie today, there was even purple flowers I've never seen before. 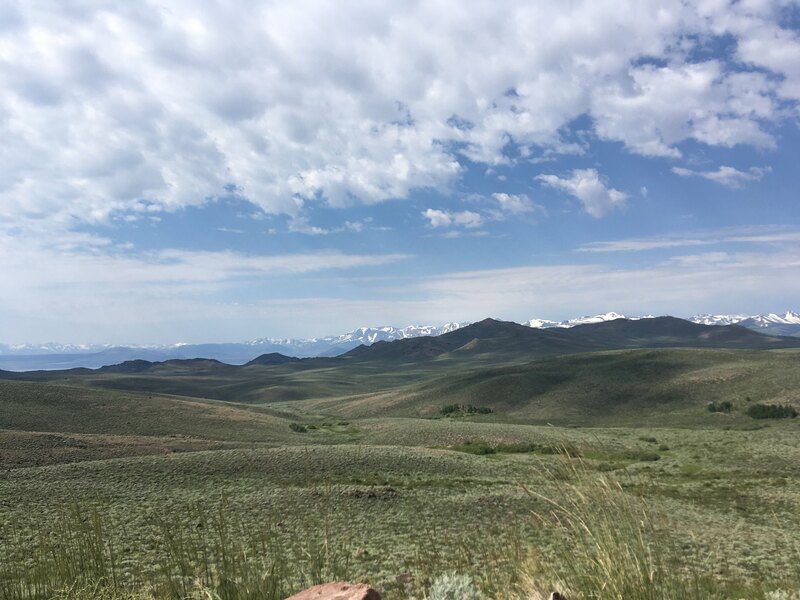 Totally clear views of the snowy peaks of the Eastern Sierras, Mono Lake, and even Minerat Summit in the distance. 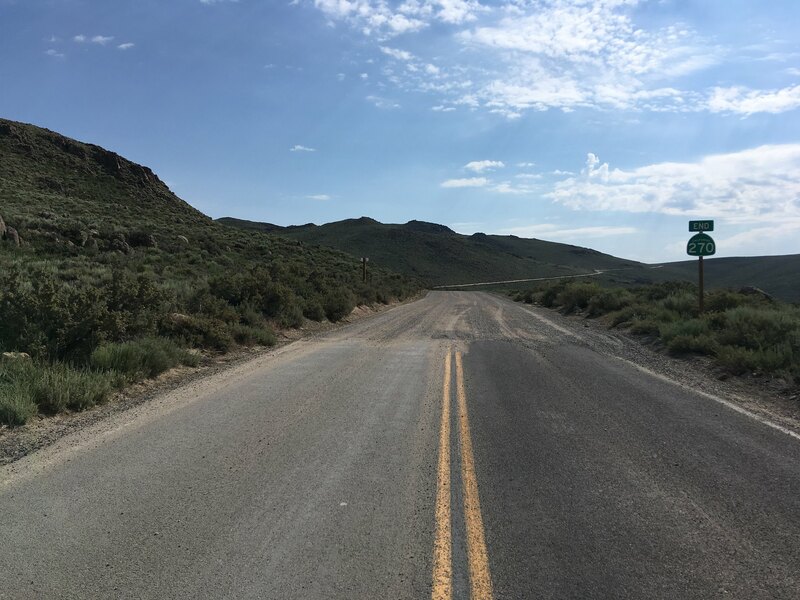 Between 1979 and 1981 CA 270 appears to have been completed for the first 10 of 13 adopted miles to Bodie. 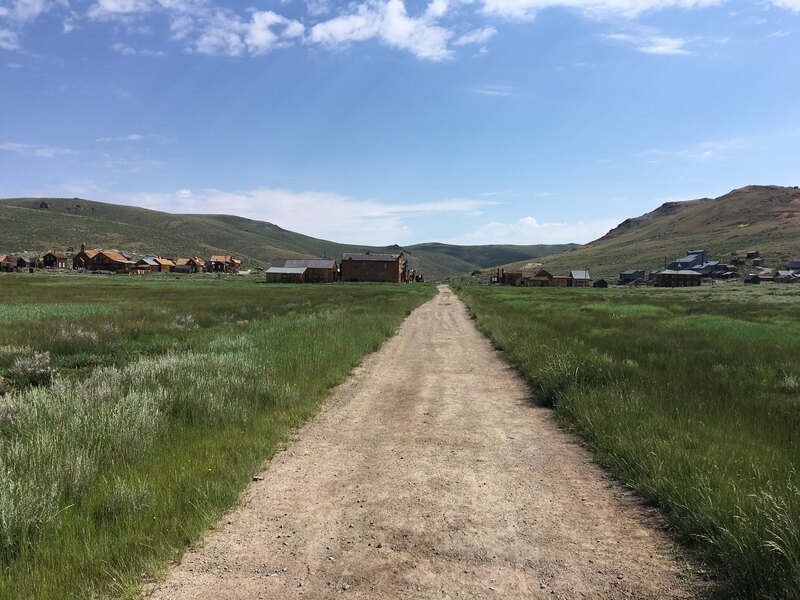 My understanding is the final three miles was kept as dirt by the request of Bodie State Park to keep the ambiance of the ghost town. 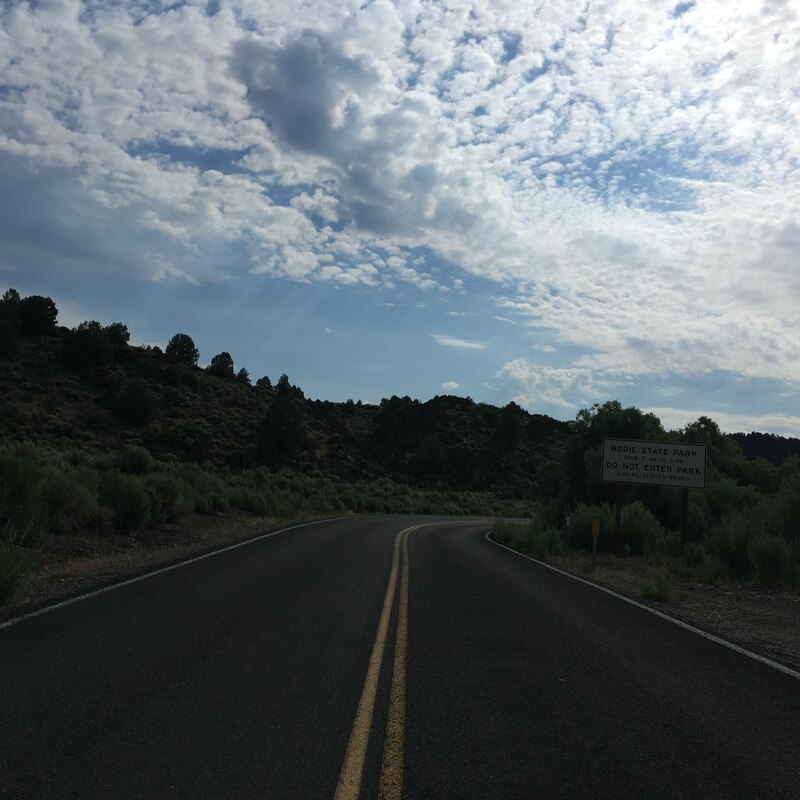 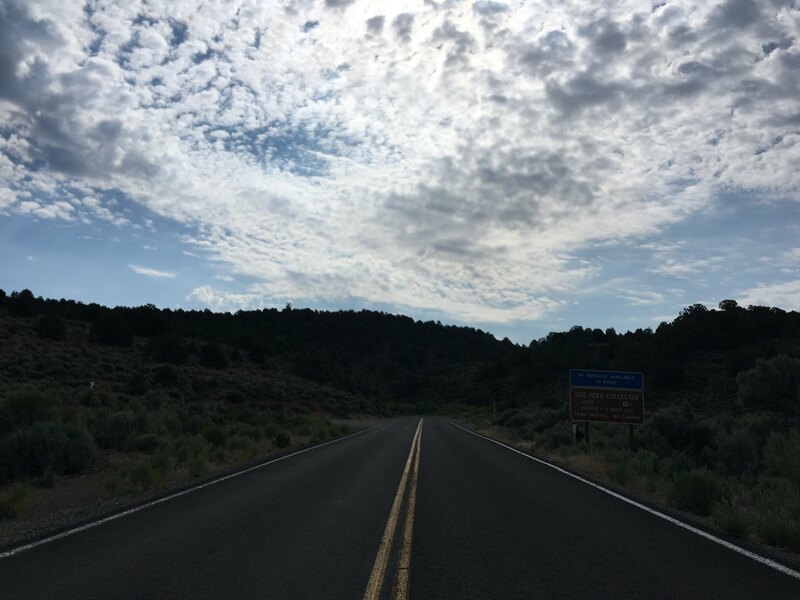 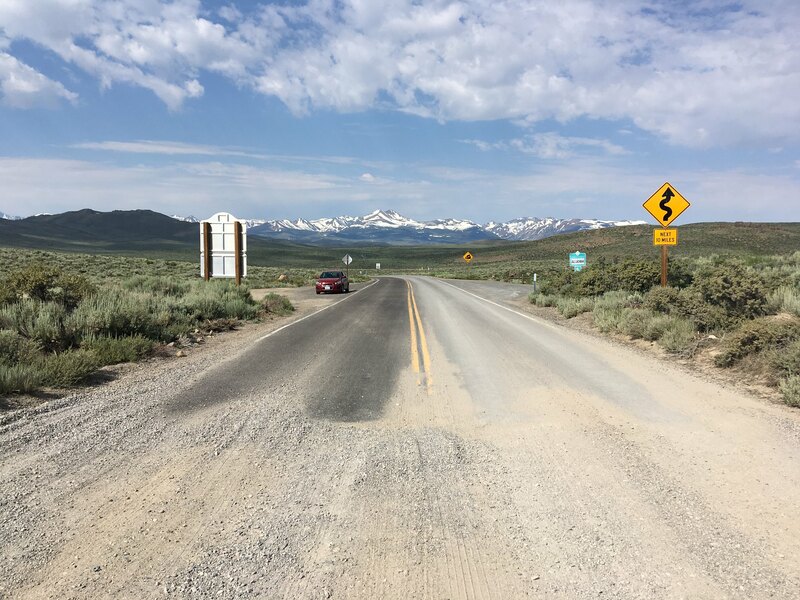 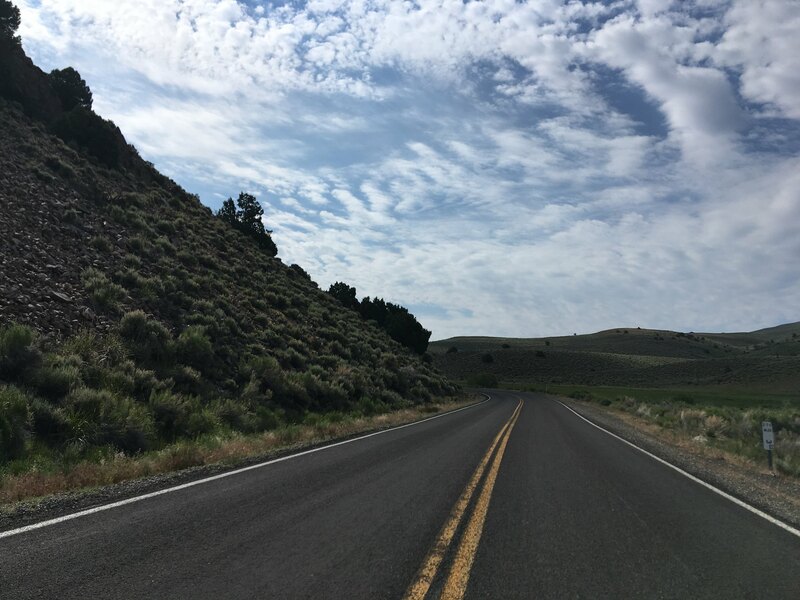 Cahighways states that District 9 recommended the deletion of the dirt segment to Bodie from the state highway system, I would assume that was actually done given the "End" shield/placard is located where the asphalt ends. 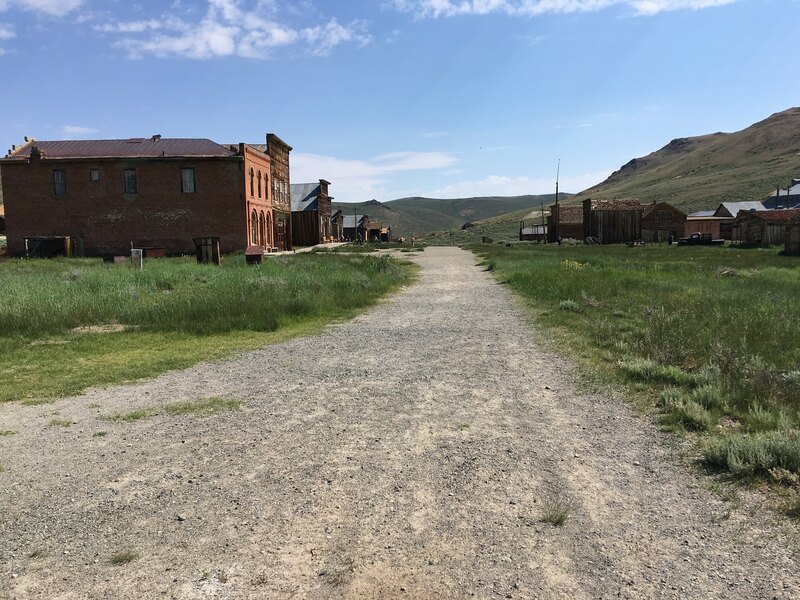 The population decline in Bodie started in the 1880s and progressed through the early 20th century to 1940 when the Census on only 40 residents left in the town. 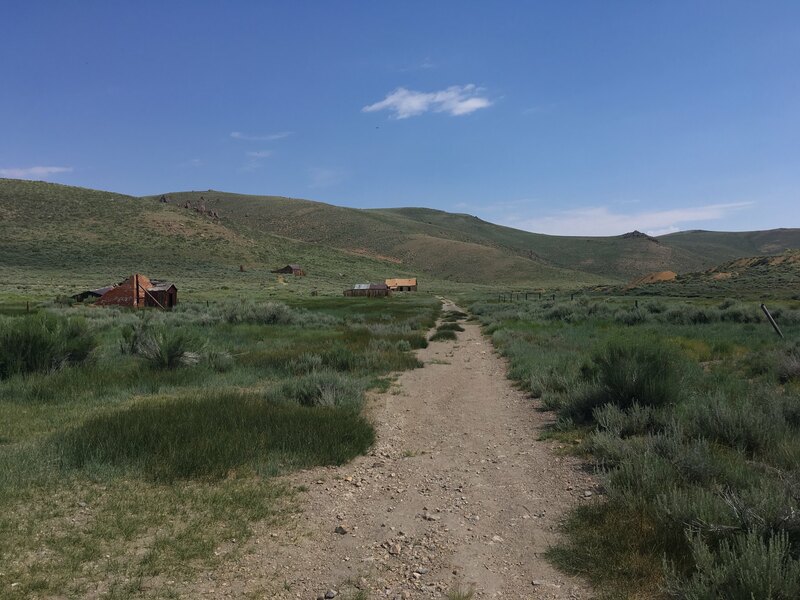 The Bodie and Benton Railroad was dismantled in 1918 when there might have been just a little over 100 people left in Bodie. 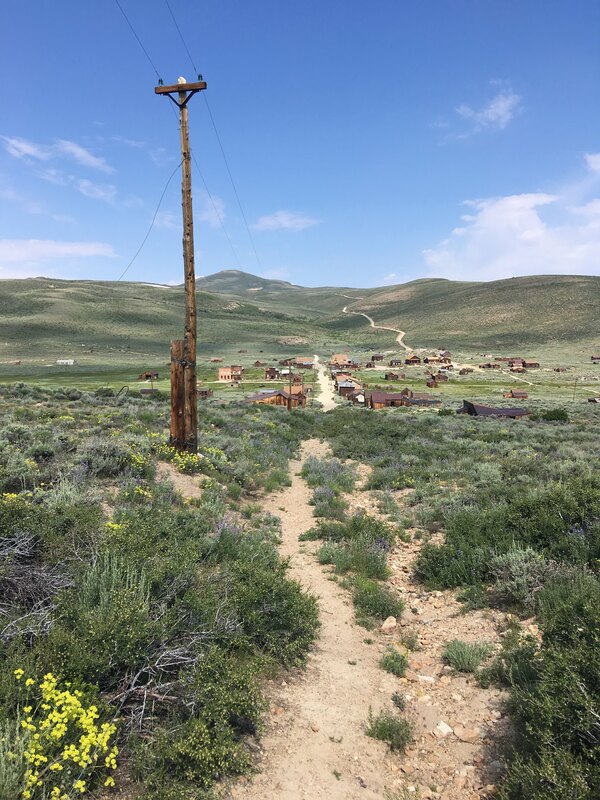 Post Office Service stopped in Bodie in 1942 and there was only three people recorded living in the town by 1943. 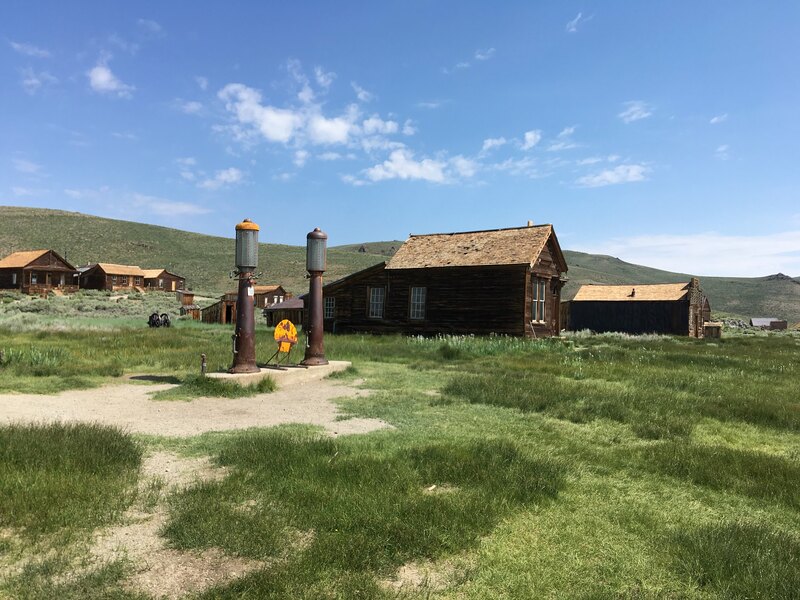 The town of Bodie was made into a State Park in 1962 when a little under 200 of the claimed original 2,000 buildings were left standings. 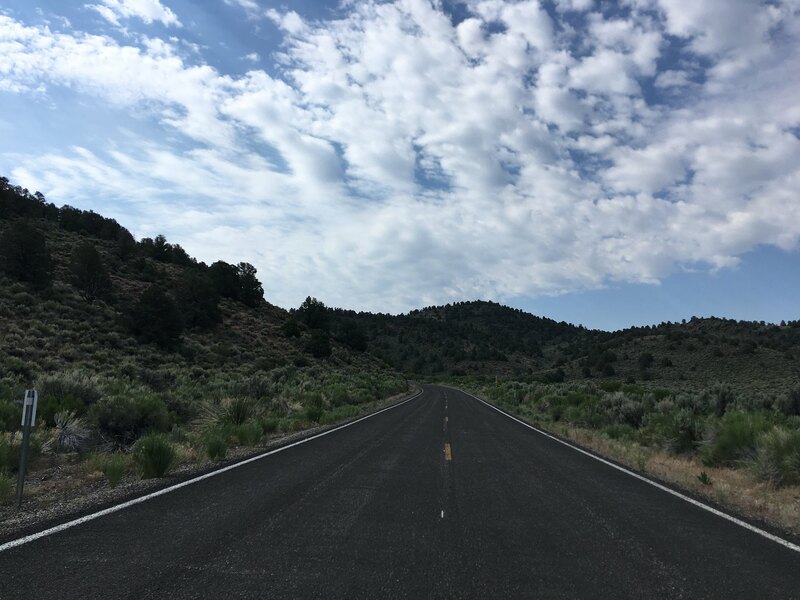 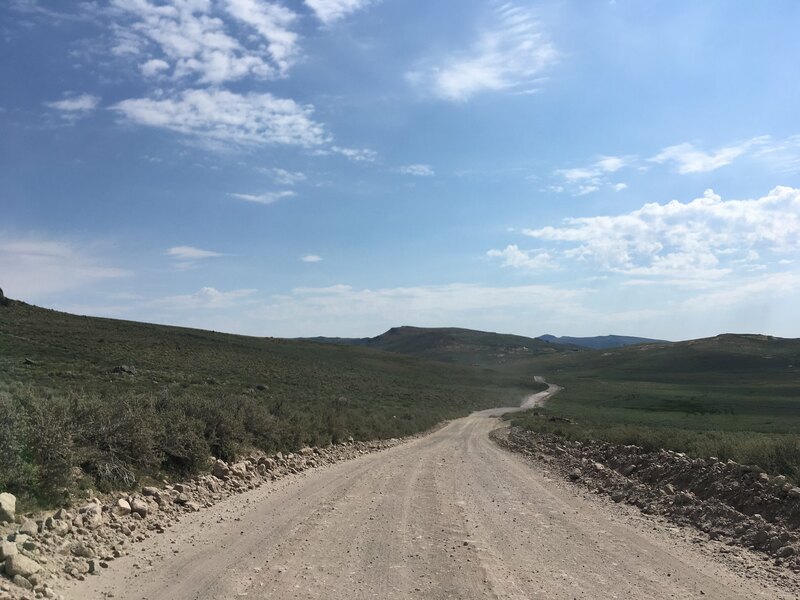 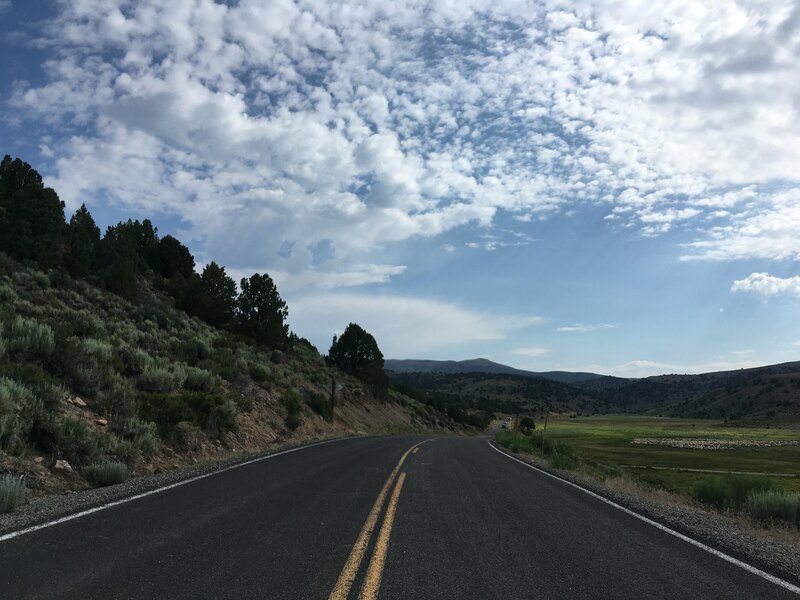 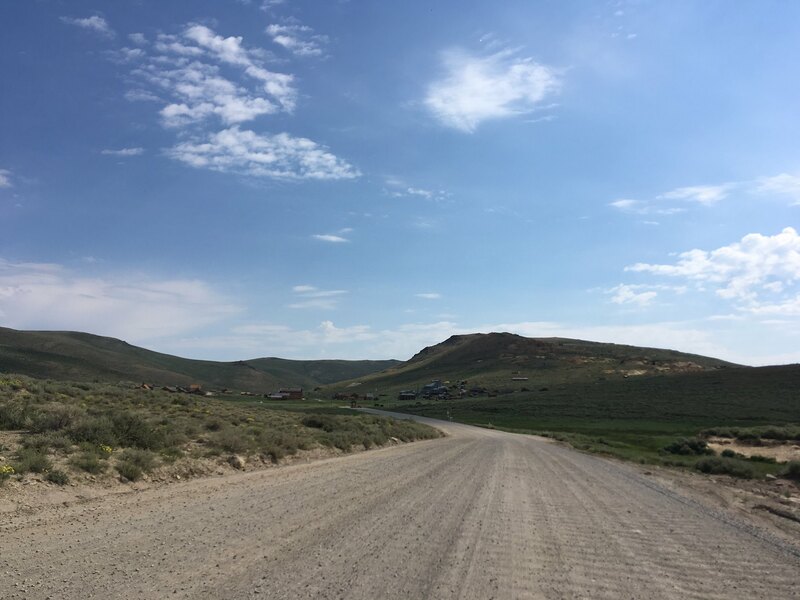 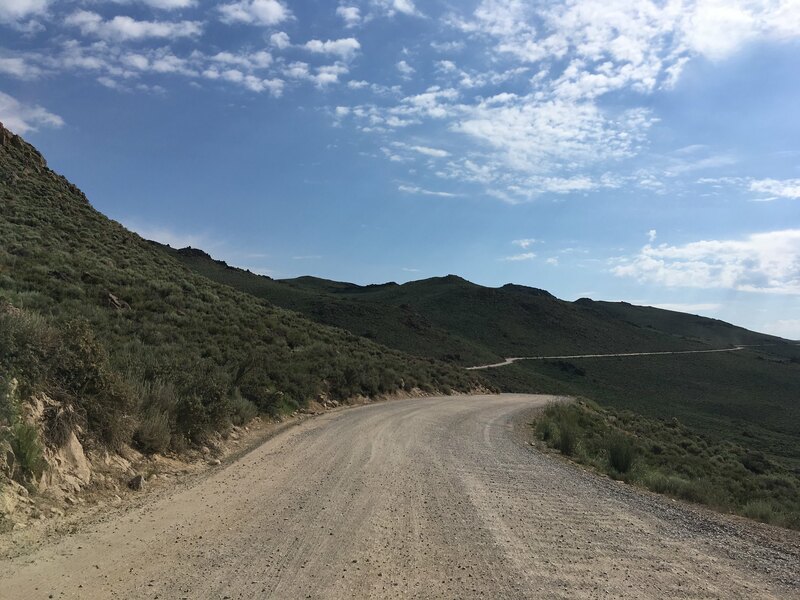 I'm almost certain that the bypass route of Bodie which goes to the State Park parking lot is a modern construction given the higher grade gravel that is present on it. 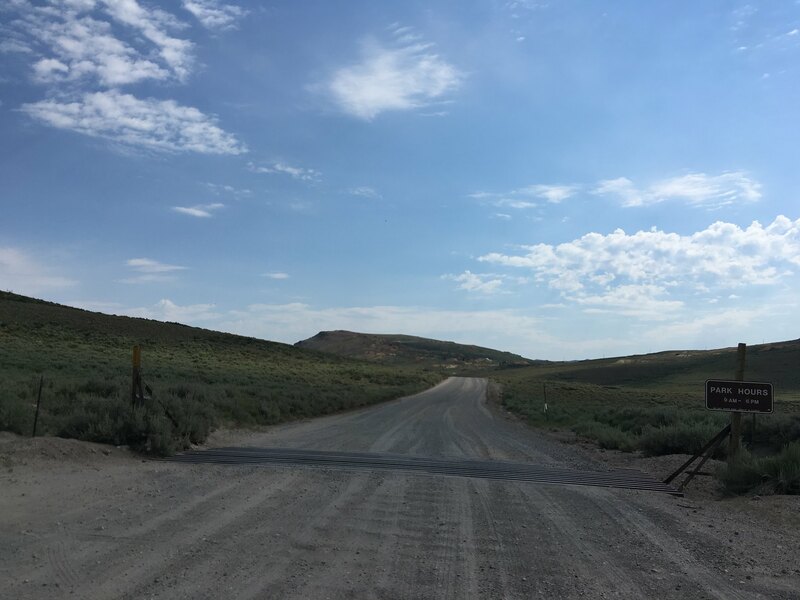 To reach Aurora in Nevada it would seem that you would need to enter Bodie via Main Street and follow it out of town where Bodie Road would resume. 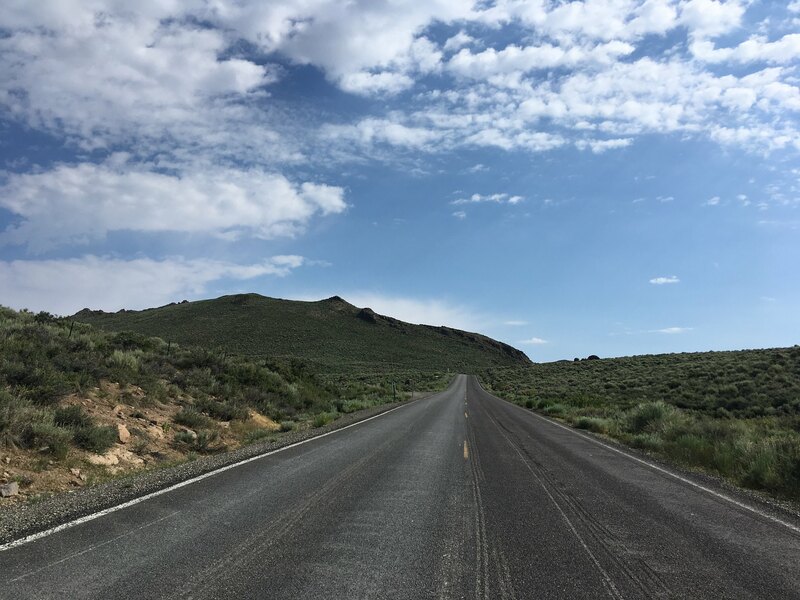 Bodie Road continues another 9-10 miles to NV3C which is about another 3-4 miles away from the Aurora Ghost town. 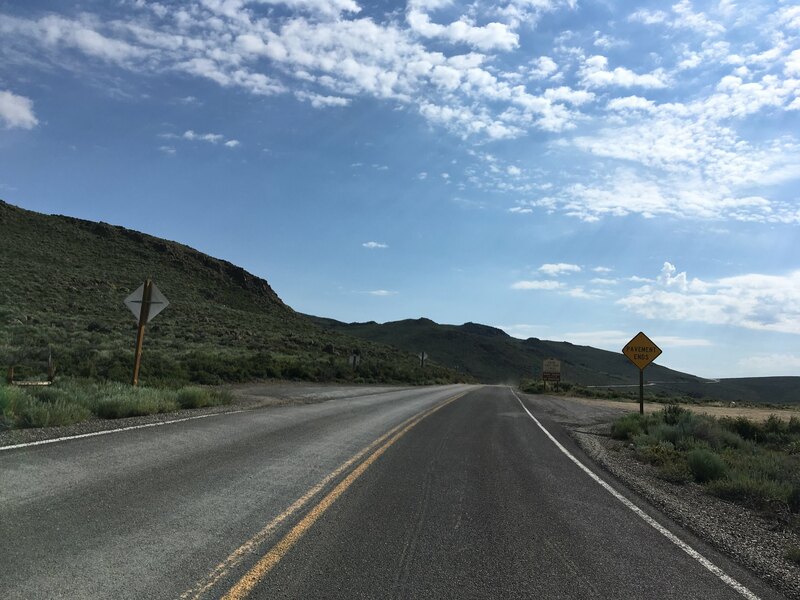 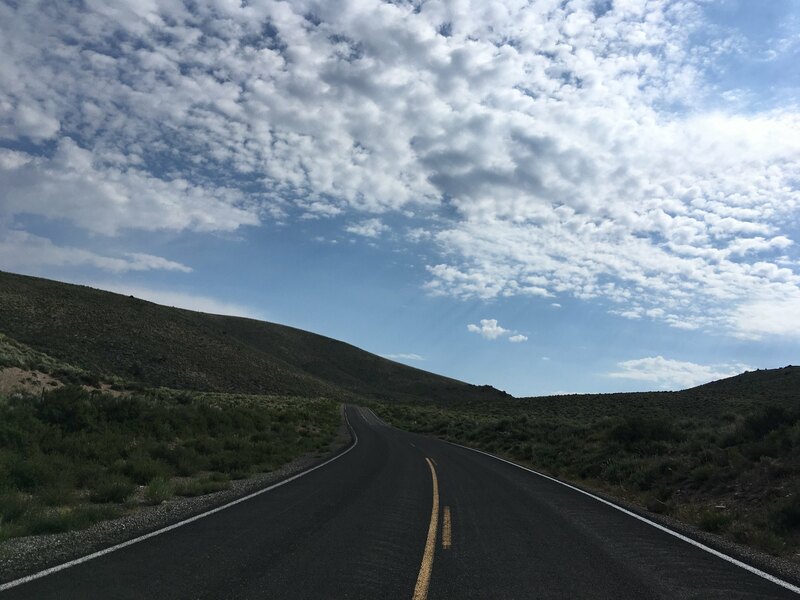 NV3C continues north to NV 208 south of Yerington which would have been NV3 prior to the state highway renumbering. 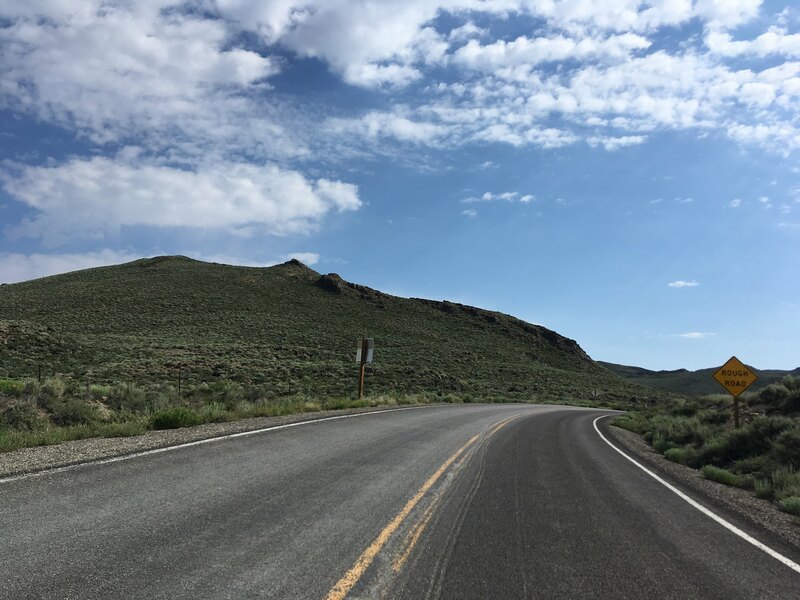 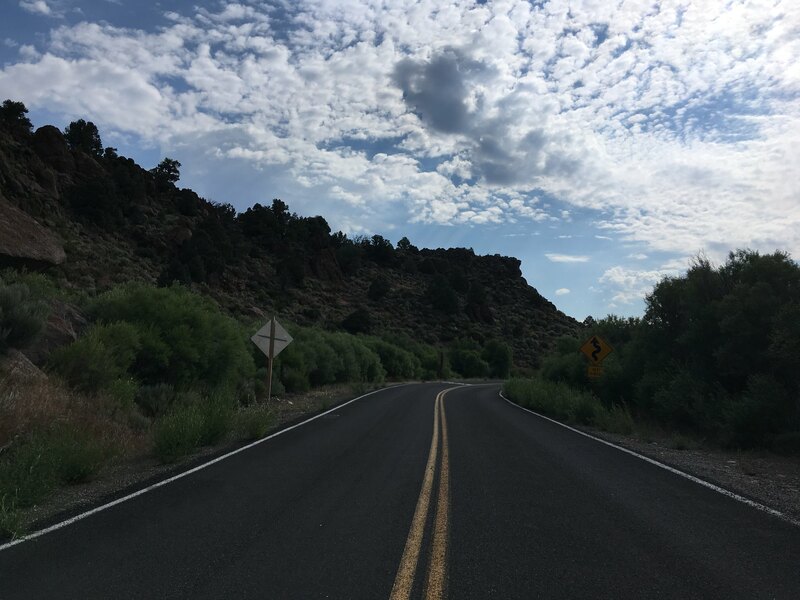 NV3C isn't part of the state highway system today and never appears to have been maintained beyond the county level. 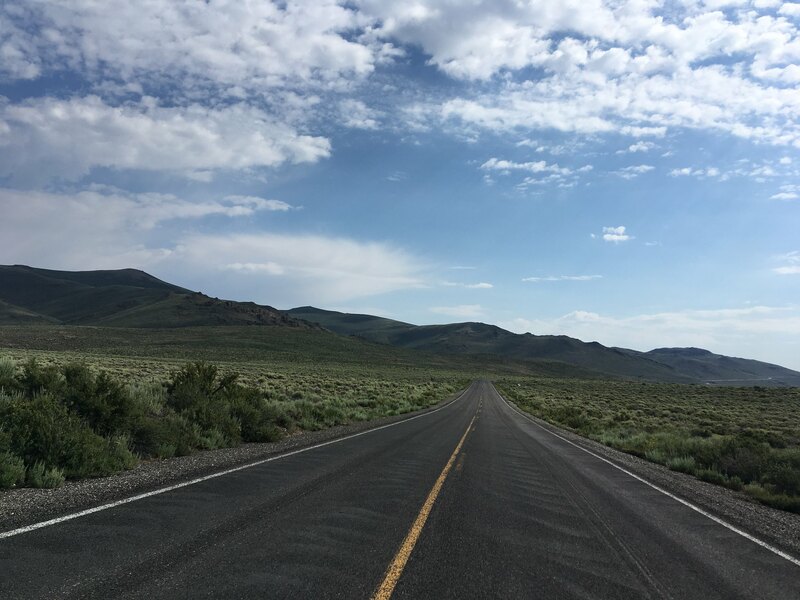 According to what I was told last year you'll need a high clearance vehicle to get through NV3C to NV 208 given that that a bridge failed just over the Nevada State Line. 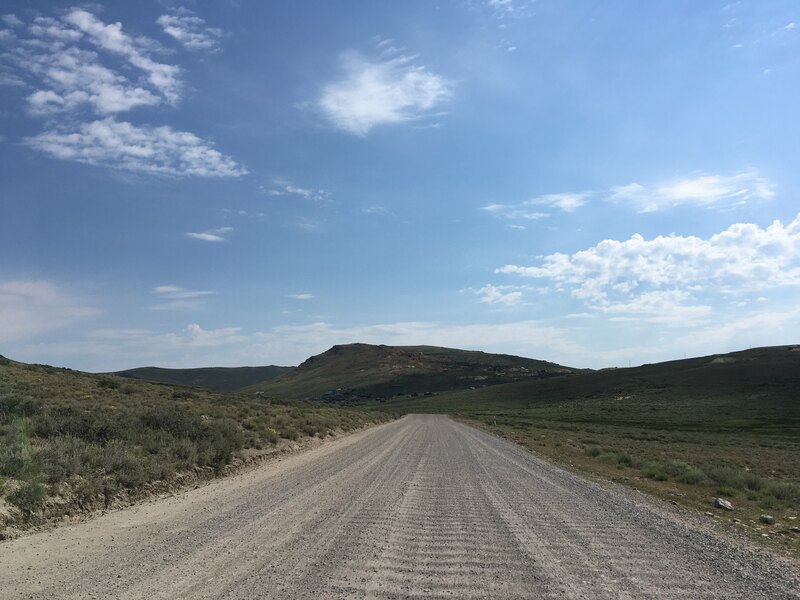 Bodie-Masonic Road traverses north out of Bodie to the ghost town called Masonic. 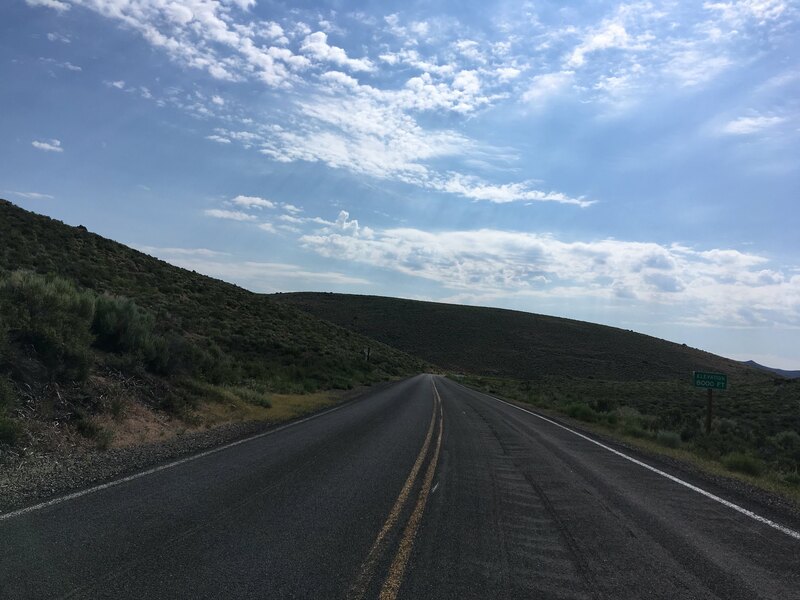 From Masonic CA 182 can be reached via Masonic Road by traveling southwest. 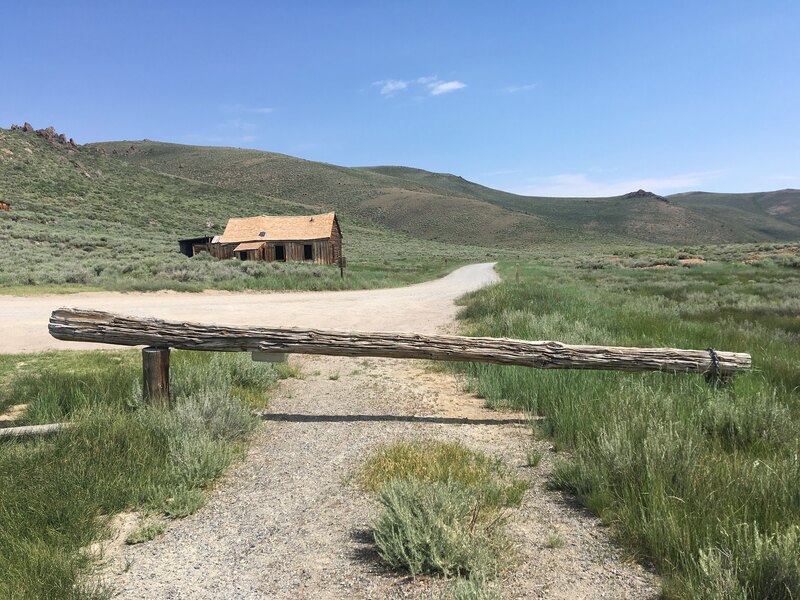 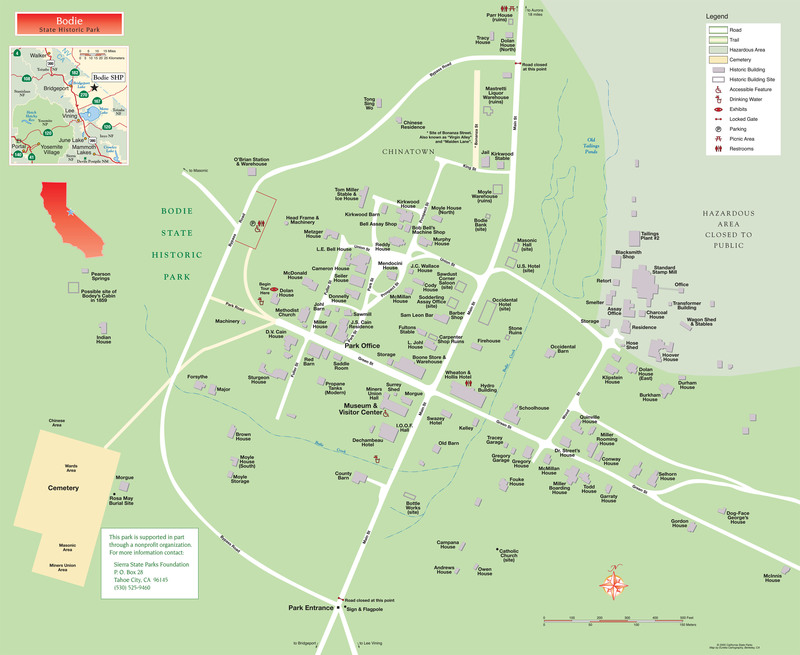 Aside from that there is a couple more mining ghost town sites in the general area around the Bodie Hills, but nothing that appears to have been much more than a collection of shacks.